Diabetes is a disorder characterized by high blood glucose levels that result from defects in the body's ability to produce and use the insulin hormone. Pancreas is an organ which releases the insulin hormone and helps the body to store sugar and fat from food. It occurs when either body does not respond to insulin or the pancreas reduce production of insulin. Type 1: In this type body does not produce insulin. It is also known as Insulin dependent diabetes or juvenile diabetes. It commonly starts at childhood. It is an autoimmune disorder where immune system mistakenly sees the insulin-producing cells in the pancreas as foreign, and destroys them. Insulin injections in a proper dose are necessary to treat this kind of disorder. Type 2: Here the body either produces less insulin or consumption of insulin is hampered which results in high blood glucose level in blood. This is commonest type. It is also known as non-insulin dependent diabetes mellitus. It commonly starts after 35 years of age. In this type body either produces less insulin or becomes insulin resistant. It is often associated with sedentary life style or obesity. The treatment for this focuses on diet and exercise, with medication or insulin injections if required. Gestational Diabetes: It develops during pregnancy. Treatment for this disorder includes eating balanced diet, getting regular exercise, checking blood sugar levels regularly and monitoring of fetal growth. All forms of the conditions increase the risk of long-term complications. This disorder doubles the risk of cardiovascular disorder. Damage to blood vessel in retina of eyes can lead to diabetic retinopathy where vision is hampered or can lead to blindness. Damage to the kidneys is known as diabetic nephropathy. Damage to the nerves of the body is known as diabetic neuropathy. Muscle wasting, weakness and diabetic foot ulcers are some more common complications. Diabetes mellitus is a chronic disorder which does not have any known cure. Diabetic patients can benefit by learning about the disease and its management. They should exercise regularly, and have healthy and balanced nutrition with the target to keep blood glucose level within normal limits. Lifestyle modifications are recommended to control blood pressure and cardiovascular disorders along with other complications. At Bhatia hospital, we understand the value of good and healthy life. Our team of Diabetologists, nutritionists and nursing staff manage it with education to patients and their family members about the disorder, its complications and management. We understand that every individual is different and requires unique care, thus our team of experts helps the patient feel in control and respond to the needs of change in lifestyle and food habits. Our dietitian can help you put together a meal plan that fits your health goals, food preferences and lifestyle. Our dietitians can also teach you how to monitor carbohydrate intake and how to keep your blood sugar levels more stable. 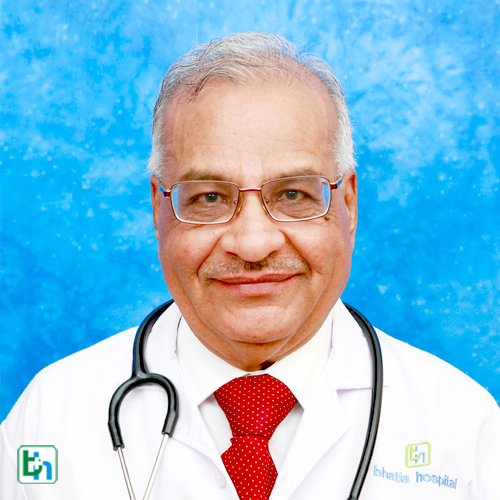 Dr Siddharth Shah is renowned in the field of Diabetology with vast experience of 20 years.